Whether it’s traditional, modern or transitional, just about every new home these days is outfitted with a kitchen island. For many, no kitchen design is complete without an island at its center. As the central hub, the kitchen should be designed in a way that accommodates busy families who want to use the room for more than just prepping dinner. Islands are the heart of the kitchen, a natural gathering place for family and friends to grab a light lunch or unwind over a beverage. They are the place people congregate to discuss the day’s events, work on their laptops, or spread out the daily paper. Aside from their social function, they are also a drop zone for unloading bags and groceries. Since the kitchen is a busy intersection in the household, you want to build an island that is an asset not an obstacle. Here are some tips to make sure you are getting the most out of your kitchen island. Located in the most popular room in most homes, it only makes sense that the kitchen island is more than just an additional countertop. Islands have to work to earn the space they occupy in the kitchen. Homeowners today are opting for multi-functional islands equipped with sinks, cooktops, microwaves and even mini-refrigerators. More workspace: Contemporary kitchen islands frequently include the cooktop and/or prep sink. With a second sink and work area, it’s a lot easier to prepare the meal with a partner. The island also serves as a great spot for kids to work on their homework while they eat an after-school snack. You may even want to consider a bi-level tiered countertop to separate the food-prep area from that of the social space. Any multi-tasking mother or father will appreciate the many uses for the added workspace. More Seating: The kitchen island often replaces the breakfast nook, and in some cases it even becomes an informal dining table. In this case, you want to be sure that the island can accommodate all the necessary seating for your family to congregate comfortably. With this extra seating around your kitchen island, you never have to worry about inviting more people to dinner. These extra stools or chairs will create an inviting space where friends and family can sit around to join you as you cook up an awesome meal. Some family members or guests may even feel inclined to help out. Extra storage: One of the primary uses of the island in a kitchen is the extra storage space it offers. With so many appliances and gadgets competing for prime space in the kitchen, an extra bank of cabinets is valuable real estate. Cabinet drawers are a popular and functional choice for any kitchen island. They provide an ample amount of storage and are easily accessible when cooking or preparing a meal. You may also want to include open shelving to display plates, cookbooks or kitchen décor. Entertainment Hot Spot: The island serves as the perfect place to sit down and enjoy a glass of wine with a friend or house guest. You might consider adding an under-counter wine rack or wine refrigerator to maximize the use of your kitchens centerpiece. As a regular dinner host, your prized wine collection should have its very own spot that keeps your finest cabernet ready to pour. Try using the island top as a self-service buffet when hosting a dinner party, you will find this yet another way to make the most of your space while entertaining. Read more amazing kitchen island tips from Blue Pearl Stone. 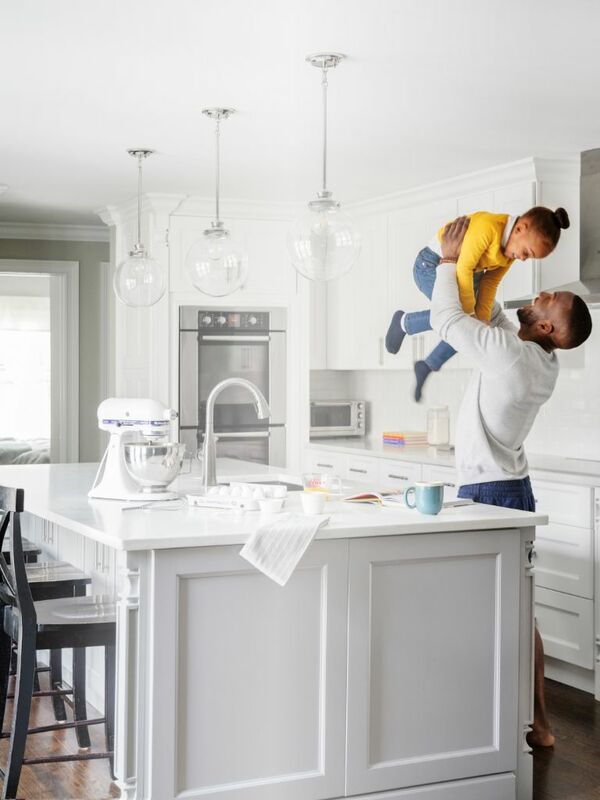 Kitchens are more than just a place to prepare and eat food, they serve as a family gathering area, homework station, virtual office and the island is often the center of it all. What do you think? Could you live without your kitchen island? Is it worth investing in? Let me know in the comments below!